The bigger, bolder, all-new WagonR is here. What are the hits and misses? 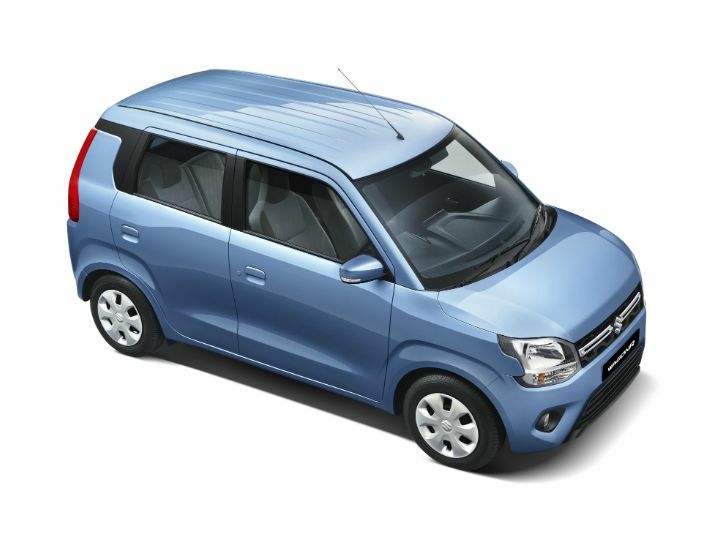 The Maruti Suzuki Wagon R has been launched in India with prices ranging from Rs 4.19 lakh to Rs 5.69 lakh. What do we like and what do we not about the new WagonR? Unlike the older-gen WagonR, the all-new 2019 WagonR has been given some fancy equipment to keep up with the competition. This includes a music system on all variants except the base. The top-spec ZXI even gets a full-blown touchscreen multimedia system with smartphone connectivity. We also like the fact that the tallboy gets the option of dual airbags and safer front seatbelts for a minimal cost increase of Rs 6,500 (ex-showroom price) on the lower variants. Even rear parking sensors are offered as standard on the new WagonR. Apart from the first-gen model, which was launched with a 1.1-litre, 4-cylinder petrol engine, the WagonR has been quite a boring car to drive. The biggest culprit was the 1.0-litre, 3-cylinder K10 engine which also powered other entry-level hatchbacks in the company’s lineup. Now, Maruti is offering the larger 1.2-litre, 4-cylinder petrol engine that puts out 83PS (+15PS from the 1.0-litre unit) and 113Nm (+23Nm) with the new WagonR. Coupled with a max kerb weight of 845kg, this engine has the potential to make the WagonR a pocket-rocket. A slick-shifting 5-speed manual transmission will only make this more fun. We can’t wait to get our hands on it. The WagonR wants to cater to all types of owners. Those who can’t do without a manual transmission can choose to get a 5-speed one with either of the two engines. But if you want to exploit the WagonR’s characteristics as a city runabout to the max, pair the 1.0-litre motor with Maruti’s tried-and-tested AMT. With 341 litres of storage space with the rear seats up, the WagonR has the biggest boot in the segment. It beats the previous class record holder, the Tata Tiago, by 99 litres. In fact, it is bigger than the Vitara Brezza! While interior space has improved thanks to an increase in exterior dimensions, most of it has been concentrated on making this a better family car. Maruti had to introduce new safety features to comply with upcoming safety norms, but upgrading to a more family-friendly safety spec is also not very expensive on the lower variants. Big thumbs up from us! The 1.0-litre variants of the WagonR could be a hit with those looking at low running costs, especially with its ARAI-claimed mileage 22.5kmpl for both the manual/AMT-equipped versions. Owners of the older car had the option of going in for a CNG-powered variant for even more savings, but the new one does not get the option, at least for now. It is still a big miss, with Maruti potentially losing customers to Tata and Hyundai because of this decision. While we appreciate the fact that Maruti offers dual airbags and better front seatbelts for a nominal increase in cost of Rs 6,500, these could have been offered as standard anyway. Features like front fog lamps, day/night IRVM should have also been offered from the base variant for added safety. While not an essential feature, people do like their cars looking good. Alloy wheels add that feeling of premiumness to any car, and Maruti should have offered them at least on the top-of-the-line ZXI/ZXI AMT variants. Maruti may have been emboldened to not add alloy wheels considering even the Hyundai Santro misses out on it, but that is a weak excuse anyway. The move is even more eyebrow-raising considering the older WagonR was offered with it. No variant of the new WagonR is offered with a 4-speaker sound system. We are living in the 21st century, the last time we checked, and this is a feature which the company should not have skimped on.